Welcome to our Lake in the Hills Martial Arts School! Welcome to Kyuki-Do® Martial Arts! Our Lake in the Hills martial arts school is located on Algonquin Rd. near the intersection of Randall Rd. Our academy and programs are dedicated to helping your child become a more confident, focused, and well-rounded person. 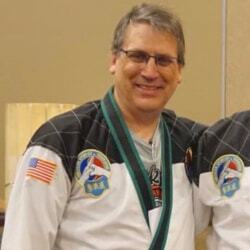 Martial arts is about more than just kicking and punching. 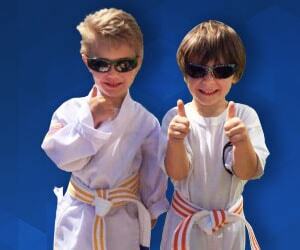 Our kids martial arts programs work with children on age-specific skills that help their overall development. Young children, ages 3 and 4, benefit greatly from improving their coordination with skills like blocking, hopping, rolling, and more. Children ages 5 and 6 work on building skills that are more appropriate to their age, interests, and creativity. These classes typically involve building memory, focus, teamwork, and much more. 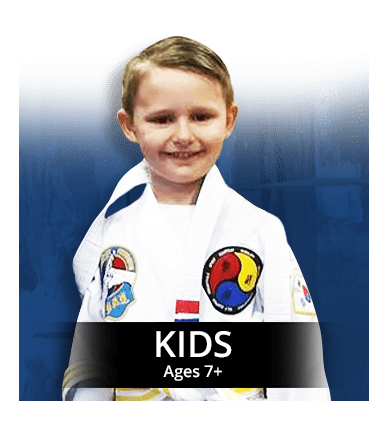 For children ages 7 and up, they enter our core martial arts program that focuses on improving their skills, mastering techniques, and building their discipline and confidence on their journey towards blackbelt. 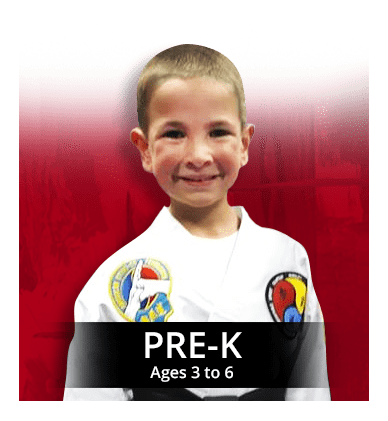 Kyuki-Do Martial Arts school serving; Lake in the Hills, Algonquin, Gilberts, Pingree Grove, and the surrounding areas in Kane County. 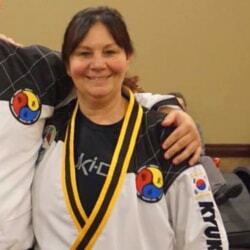 Lake In the Hills Martial Arts – Fitness and Fun are Guaranteed! Do these concerns sound familiar? If they do, then we have great news because martial arts is the answer. Kids in our program have fun, get exercise, and spend some much needed time away “disconnected” from the online/digital world. When children are truly able to disconnect from that world they quickly discover how much they love physical activity and using their entire body to master new skills. Our classes start for kids as young as 2 and 3 years old. We guarantee that they will have fun and use plenty of energy in class. It won’t take long before you notice an overall improvement in focus, drive, respect, coordination, and confidence. 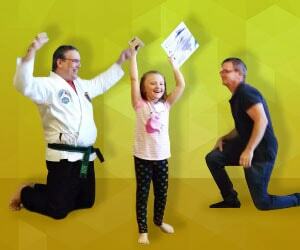 Special Offer – Begin Your Child’s Martial Arts Journey Today! Don’t wait to get started! 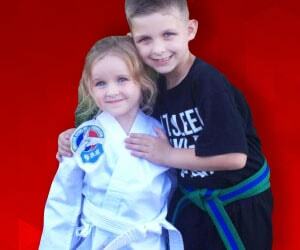 Our web specials are designed to remove all the risk from worrying about whether your child will or won’t enjoy martial arts. Let’s get them started on a short trial and see what they think. “Best Birthday Party Ever!” That’s our goal and your child will be thrilled. 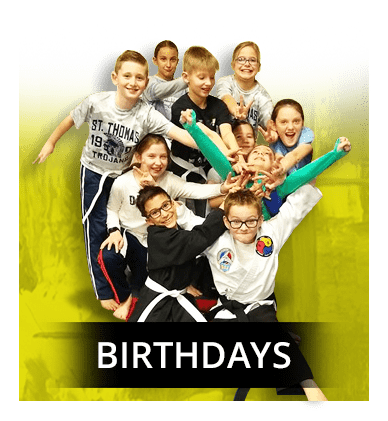 Our birthday party packages include board breaking, food, and so much more! Call today more info.